Ships today if you order in the next 3 hours 36 minutes. 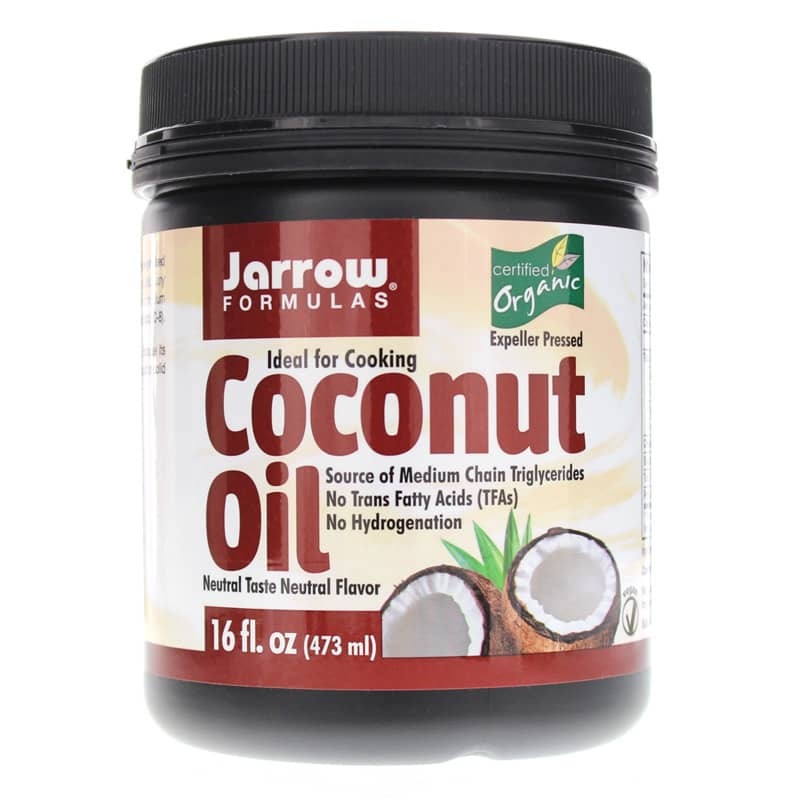 Jarrow Formulas Organic Coconut Oil (Cocos nucifera) is expeller-pressed and solvent free from the dried flesh (copra) of the coconut palm fruit, and does not utilize any solvents in the manufacturing process. Ingredients: 100% Expeller Pressed, Organic, Coconut Oil. 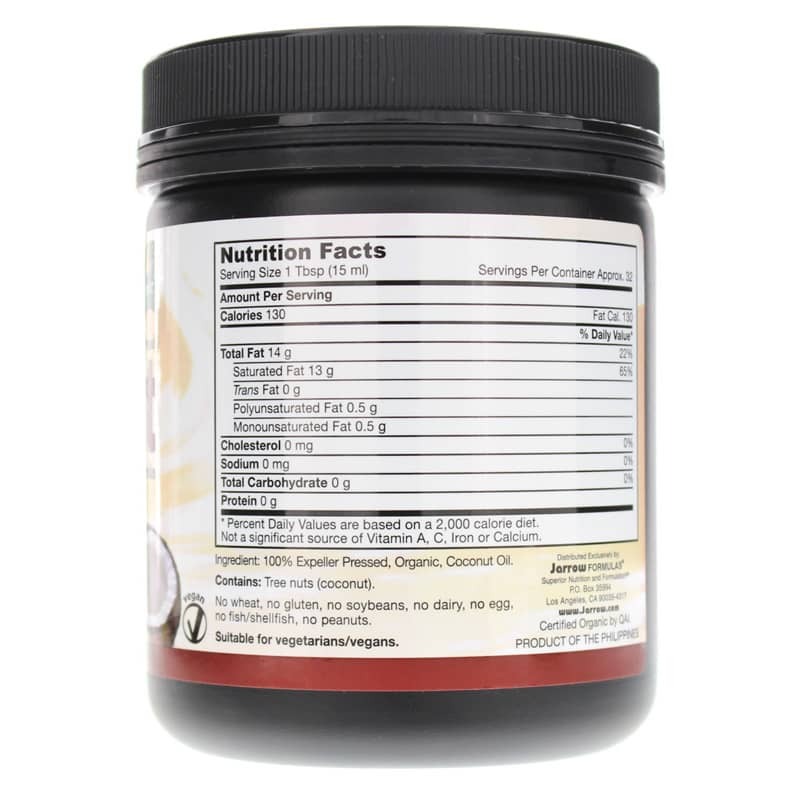 Contains NO: wheat, gluten, soybeans, dairy, egg, fish/shellfish, peanuts. Suitable for vegetarians/vegans. 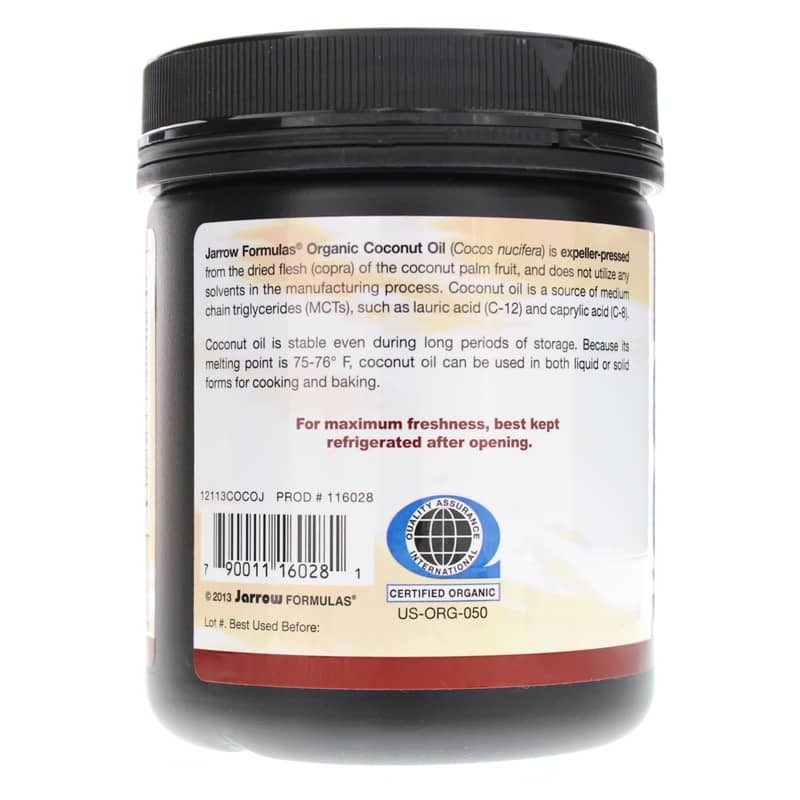 This is my first time buying coconut oil and I didn't know there was such a thing as a neutral taste and flavor, I assumed it would have a coconut taste so I was a little disappointed. I guess I should have read the info on this product before buying. I haven't used this for cooking. I use it in my hair to keep it healthy and shiny looking. It works great. Delicious. Use it with many dishes.